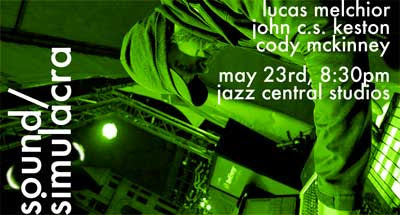 This will be the 2nd show for Steven Hobert’s new B-3 organ trio WALL SMASHERS. 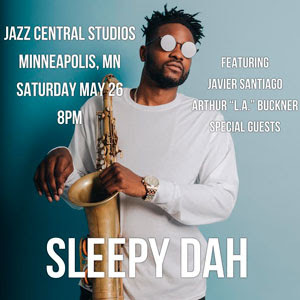 It will be powerful, exploratory and playful; featuring two twin cities musicians I love: From North Minneapolis, fabulous funk, gospel & jazz drummer L A Buckner. And originally all the way from Madagascar: Jax Ravel on electric bass. Hosted by Monday’s Featured Artist following the first set. All are welcome and encouraged to participate regardless of experience level. Since 2006 MKR has been writing and performing electronic music in the Twin Cities. 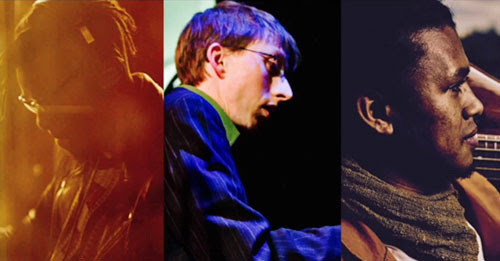 Winner of the Minnesota Emerging Composer Award in 2012, his music exists at the intersection of dance music and more ambient and experimental styles. Oscillating between extremes, lush downtempo break beats evolve and yield to breakneck rhythms, melodies, and bass. 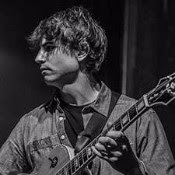 At times warm, simple, and human and at others cold, digital, and impenetrable the music of MKR revels in its influences and exposes a broad spectrum of timbres and moods. “Reunited and it feels so good…” Niny Salem is reuniting with Jeff Olson for their first performance together at Jazz Central Studios in Mineapolis on Thursday, May 24th. They met in 2013 at the infamous Twin Cities piano bar Nye’s Polonaise, where Jeff was the Friday and Saturday night accompanist. Since then Niny has managed to crash some of Jeff’s gigs, which then led to numerous requests to perform together in Minnesota and Costa Rica. 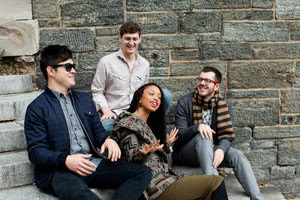 AMP Trio featuring Tahira Clayton is poised to reach new heights after being named the winner of the 2017 DCJazzPrix and earning an invitation to the 2018 DC Jazz Festival. Their most recent record, Three, was highlighted by a Japanese tour that included a cultural exchange workshop sponsored by the US Consulate of Sapporo. 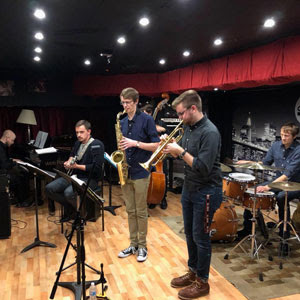 The Snaps are a jazz sextet based in Mankato, MN. The group is made up of MSU-Mankato students with a variety of degrees and musical backgrounds. The ensemble is advised by Dr. Douglas Snapp of MSU-Mankato.